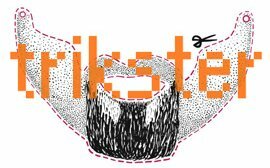 The fourth issue of Trikster – Nordic Queer Journal focuses on present queer political struggles. Despite the critics who describe feminist and queer critique as a thing of the past, the problems in the here and now are just too many to put radical politics to an end. Trikster zooms for instance in on the medical pathologizing of trans people. With the important Danish documentary Nobody Passes Perfectly (2009) as a starting point, the media and gender researcher Tobias Raun debunks the widespread notion of Denmark as a transgender “paradise”. Through an incisive critique of the state regulation of transsexuality, he sheds light on a political battleground that for long has gone unrecognized by the media and human rights organizations. While critics on both left and right tend to present queer politics as a market run lifestyle diversification, Mika Nielsen argues for the importance of anticapitalist queer critique. In the article “Ett kapitalt misstag” she discusses the intertwinement of economy and heteronormativity, and introduces a branch of research that has seldom been discussed in the Nordic countries: Queer Economics. If Raun and Nielsen’s articles inspire to action, Jan Wickman discusses the grounds of queer activism in the Nordic countries more broadly. In the article “Queer Activism: What Might That Be?” he analyzes different theoretical, political and cultural aspects of queer activism, outlining the contours of a diverse and evolving movement. The ongoing queer activist conversations stand in stark opposition to the mainstream LGBT organizations’ discussions of what to do in the so-called “twilight of equality”. With the new legislations on marriage and adoption in several Scandinavian countries, some tend to think that the fight is over. But for this story of progress to be told, other stories and problems must be forgotten. For instance the ways in which questions on homosexuality is folded into matters of race, ethnicity, and religion. In a time where “tolerance”-discourse against LGBT persons is employed in order to mobilize xenophobic and racist policies, it seems imperative to question the use and abuse of terms such as “progression” and “equality”. It is a similar simplified narrative of progress Mathias Danbolt locates in his analysis of the ambitious history exhibition As I Am: LGBT in CPH at Copenhagen City Museum in 2009. In his discussion of the ways in which the show portrays LGBT activism as a thing of the past, he points out how “old” problems live on in the present. Instead of tapping into the tempting story of victory, he argues that interventions into queer history should rub against the grain, and take part in the fight for a better future. But no activist fights without joy, laughter, and dancing! The importance of humor in queer and feminist critique is at center stage in Rikke Platz Cortsen's introduction to current Swedish cartoonists. And a laugh is not far away when reading the author Kristina Nya Glaffey’s text revolving around the so-called lesbian baby boom. Viktor Johansson deals with a related area in his suite of poems, where he meditates on becoming in a broad sense – of bodies, babies, and identities. The artist Heidi Lunabba plays with the established gender norms in her temporary beard salon Studio Vilgefortis, documented in this issue of Trikster. In this performance she meticulously applies beards and mustaches from her stock of facial hair to passers-by on the street – woman as well as men. The beautifully crafted beards put our ways of reading gender to the test. While taking its outset in an understanding of gender as a performative act, Lunabba’s beard salon also reminds us that we are never fully able to choose our own gender identity in the present. Since we “act in concert”, as Judith Butler has formulated it, we can never completely control which gender we pass as in the eyes of others. The fight for destabilizing the meanings assigned to gender attributes are therefore far from over. While critics seems to line up with obituaries for queer theory and activism, it seems pertinent to remember that “Queerness is not yet here”, as José Esteban Muñoz acutely states in Cruising Utopia (2009). A queer world is still in the horizon, as something to desire and strive for. It is perhaps here we can locate one of the most important tasks for queer activism at the dawn of a new decade: Not to give in to the pragmatic demand for quick and easy solutions, but to keep imagining new social orders in the future.